I am the living bread which came down from heaven: if any man eat of this bread, he shall live for ever: and the bread that I will give is my flesh, which I will give for the life of the world. The Jews therefore strove among themselves, saying, How can this man give us his flesh to eat? Then Jesus said unto them, Verily, verily, I say unto you, Except ye eat the flesh of the Son of man, and drink his blood, ye have no life in you. Whoso eateth my flesh, and drinketh my blood, hath eternal life; and I will raise him up at the last day. For my flesh is meat indeed, and my blood is drink indeed. He that eateth my flesh, and drinketh my blood, dwelleth in me, and I in him. “The most important one,” answered Jesus, “is this: ‘Hear, O Israel: The Lord our God, the Lord is one. Can you LOVE your NEIGHBOUR without being able to LOVE YOURSELF? Can you look in a mirror, see YOURSELF and LOVE who you see? Is it CHRIST in you, the hope of glory? The first comes before the second, doesn’t it? How do you get to LOVE the Lord your God? Can you do it by yourself or do you allow JESUS to do it for you? All to Him, JESUS, SURRENDER and let Him into your life. Lift up your heads, you gates; lift them up, you ancient doors, that the King of glory may come in. Who is he, this King of glory? The Lord Almighty— he is the King of glory. So, open up your heart, mind, body and soul and let Him in; then, LOVE will shine all over you, through you and you will be able to LOVE GOD, LOVE YOURSELF and LOVE your NEIGHBOUR. But now apart from the law the righteousness of God has been made known, to which the Law and the Prophets testify. This righteousness is given through faith in Jesus Christ to all who believe. There is no difference between Jew and Gentile, for all have sinned and fall short of the glory of God, and all are justified freely by his grace through the redemption that came by Christ Jesus. Then God said, “Let us make mankind in our image, in our likeness, so that they may rule over the fish in the sea and the birds in the sky, over the livestock and all the wild animals, and over all the creatures that move along the ground.” So God created mankind in his own image, in the image of God he created them; male and female he created them. God blessed them and said to them, “Be fruitful and increase in number; fill the earth and subdue it. Rule over the fish in the sea and the birds in the sky and over every living creature that moves on the ground.” Then God said, “I give you every seed-bearing plant on the face of the whole earth and every tree that has fruit with seed in it. They will be yours for food. And to all the beasts of the earth and all the birds in the sky and all the creatures that move along the ground—everything that has the breath of life in it—I give every green plant for food.” And it was so. God saw all that he had made, and it was very good. And there was evening, and there was morning—the sixth day. If I speak in the tongues of men or of angels, If I speak in the tongues of men or of angels, but do not have love, I am only a resounding gong or a clanging cymbal. If I have the gift of prophecy and can fathom all mysteries and all knowledge, and if I have a faith that can move mountains, but do not have love, I am nothing. If I give all I possess to the poor and give over my body to hardship that I may boast, but do not have love, I gain nothing. Love is patient, love is kind. It does not envy, it does not boast, it is not proud. It does not dishonor others, it is not self-seeking, it is not easily angered, it keeps no record of wrongs. Love does not delight in evil but rejoices with the truth. It always protects, always trusts, always hopes, always perseveres. Love never fails. But where there are prophecies, they will cease; where there are tongues, they will be stilled; where there is knowledge, it will pass away. For we know in part and we prophesy in part, but when completeness comes, what is in part disappears. When I was a child, I talked like a child, I thought like a child, I reasoned like a child. When I became a man, I put the ways of childhood behind me. For now we see only a reflection as in a mirror; then we shall see face to face. Now I know in part; then I shall know fully, even as I am fully known. And now these three remain: faith, hope and love. But the greatest of these is love. I will extol the Lord at all times; his praise will always be on my lips. I will glory in the Lord ; let the afflicted hear and rejoice. Glorify the Lord with me; let us exalt his name together. I sought the Lord , and he answered me; he delivered me from all my fears. Those who look to him are radiant; their faces are never covered with shame. This poor man called, and the Lord heard him; he saved him out of all his troubles. The angel of the Lord encamps around those who fear him, and he delivers them. Taste and see that the Lord is good; blessed is the one who takes refuge in him. GOD made you in His own Image. Look towards the hills, where your help comes from. Now, look in the Mirror and Love yourself. Then, Love your neighbour as you Love yourself. You can do all things, through Him, who gives you strength. And being confident of this very thing, that He, who began His good work in you, will continue to perform it, until JESUS CHRIST returns. And Jesus went out, and departed from the temple: and his disciples came to him for to shew him the buildings of the temple. And Jesus said unto them, See ye not all these things? verily I say unto you, There shall not be left here one stone upon another, that shall not be thrown down. And as he sat upon the mount of Olives, the disciples came unto him privately, saying, Tell us, when shall these things be? and what shall be the sign of thy coming, and of the end of the world? And Jesus answered and said unto them, Take heed that no man deceive you. For many shall come in my name, saying, I am Christ; and shall deceive many. And ye shall hear of wars and rumours of wars: see that ye be not troubled: for all these things must come to pass, but the end is not yet. Then shall they deliver you up to be afflicted, and shall kill you: and ye shall be hated of all nations for my name’s sake. And many false prophets shall rise, and shall deceive many. And because iniquity shall abound, the love of many shall wax cold. But he that shall endure unto the end, the same shall be saved. To the Jews who had believed him, Jesus said, “If you hold to my teaching, you are really my disciples. Then you will know the truth, and the truth will set you free.” They answered him, “We are Abraham’s descendants and have never been slaves of anyone. How can you say that we shall be set free?” Jesus replied, “Very truly I tell you, everyone who sins is a slave to sin. Now a slave has no permanent place in the family, but a son belongs to it forever. So if the Son sets you free, you will be free indeed. Everyone ought to examine themselves before they eat of the bread and drink from the cup. For those who eat and drink without discerning the body of Christ eat and drink judgment on themselves. That is why many among you are weak and sick, and a number of you have fallen asleep. But if we were more discerning with regard to ourselves, we would not come under such judgment. Nevertheless, when we are judged in this way by the Lord, we are being disciplined so that we will not be finally condemned with the world. So then, my brothers and sisters, when you gather to eat, you should all eat together. Anyone who is hungry should eat something at home, so that when you meet together it may not result in judgment. And when I come I will give further directions. “You have heard that it was said, ‘Love your neighbor and hate your enemy.’ But I tell you, love your enemies and pray for those who persecute you, that you may be children of your Father in heaven. He causes his sun to rise on the evil and the good, and sends rain on the righteous and the unrighteous. If you love those who love you, what reward will you get? Are not even the tax collectors doing that? And if you greet only your own people, what are you doing more than others? Do not even pagans do that? While Jesus was still speaking, some people came from the house of Jairus, the synagogue leader. “Your daughter is dead,” they said. “Why bother the teacher anymore?” Overhearing what they said, Jesus told him, “Don’t be afraid; just believe.” When they came to the home of the synagogue leader, Jesus saw a commotion, with people crying and wailing loudly. He went in and said to them, “Why all this commotion and wailing? The child is not dead but asleep.” But they laughed at him. After he put them all out, he took the child’s father and mother and the disciples who were with him, and went in where the child was. He took her by the hand and said to her, “Talitha koum!” (which means “Little girl, I say to you, get up!”). Immediately the girl stood up and began to walk around (she was twelve years old). At this they were completely astonished. Jesus continued: “There was a man who had two sons. The younger one said to his father, ‘Father, give me my share of the estate.’ So he divided his property between them. “Not long after that, the younger son got together all he had, set off for a distant country and there squandered his wealth in wild living. After he had spent everything, there was a severe famine in that whole country, and he began to be in need. So he went and hired himself out to a citizen of that country, who sent him to his fields to feed pigs. He longed to fill his stomach with the pods that the pigs were eating, but no one gave him anything. “When he came to his senses, he said, ‘How many of my father’s hired servants have food to spare, and here I am starving to death! I will set out and go back to my father and say to him: Father, I have sinned against heaven and against you. I am no longer worthy to be called your son; make me like one of your hired servants.’ So he got up and went to his father. “But while he was still a long way off, his father saw him and was filled with compassion for him; he ran to his son, threw his arms around him and kissed him. “The son said to him, ‘Father, I have sinned against heaven and against you. I am no longer worthy to be called your son.’ “But the father said to his servants, ‘Quick! Bring the best robe and put it on him. Put a ring on his finger and sandals on his feet. Bring the fattened calf and kill it. Let’s have a feast and celebrate. 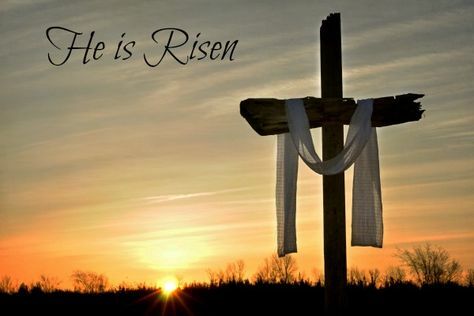 For this son of mine was dead and is alive again; he was lost and is found.’ So they began to celebrate. Do your best to present yourself to God as one approved, a worker who does not need to be ashamed and who correctly handles the word of truth. Avoid godless chatter, because those who indulge in it will become more and more ungodly. Their teaching will spread like gangrene. Among them are Hymenaeus and Philetus, who have departed from the truth. They say that the resurrection has already taken place, and they destroy the faith of some. Nevertheless, God’s solid foundation stands firm, sealed with this inscription: “The Lord knows those who are his,” and, “Everyone who confesses the name of the Lord must turn away from wickedness.” In a large house there are articles not only of gold and silver, but also of wood and clay; some are for special purposes and some for common use. Those who cleanse themselves from the latter will be instruments for special purposes, made holy, useful to the Master and prepared to do any good work. Flee the evil desires of youth and pursue righteousness, faith, love and peace, along with those who call on the Lord out of a pure heart. Don’t have anything to do with foolish and stupid arguments, because you know they produce quarrels. And the Lord’s servant must not be quarrelsome but must be kind to everyone, able to teach, not resentful. Opponents must be gently instructed, in the hope that God will grant them repentance leading them to a knowledge of the truth, and that they will come to their senses and escape from the trap of the devil, who has taken them captive to do his will. Be alert and of sober mind. Your enemy the devil prowls around like a roaring lion looking for someone to devour. Resist him, standing firm in the faith, because you know that the family of believers throughout the world is undergoing the same kind of sufferings. And the God of all grace, who called you to his eternal glory in Christ, after you have suffered a little while, will himself restore you and make you strong, firm and steadfast. To him be the power for ever and ever. Amen. We do, however, speak a message of wisdom among the mature, but not the wisdom of this age or of the rulers of this age, who are coming to nothing. No, we declare God’s wisdom, a mystery that has been hidden and that God destined for our glory before time began. these are the things God has revealed to us by his Spirit. The Spirit searches all things, even the deep things of God. For who knows a person’s thoughts except their own spirit within them? In the same way no one knows the thoughts of God except the Spirit of God. What we have received is not the spirit of the world, but the Spirit who is from God, so that we may understand what God has freely given us. This is what we speak, not in words taught us by human wisdom but in words taught by the Spirit, explaining spiritual realities with Spirit-taught words. The person with the Spirit makes judgments about all things, but such a person is not subject to merely human judgments, for, “Who has known the mind of the Lord so as to instruct him?” But we have the mind of Christ. GODway: Jesus answered, “I am the way and the truth and the life.” (John 14:6). Faith In Action: As the body without the spirit is dead, so faith without deeds is dead. (James 2:26).